Oat Milk is a non-dairy milk that is high in fibre and iron and is a great alternative for people with strict dietary restrictions. In just 5 minutes with 2 ingredients using our Slow Juicer, you can make your own tasty oat milk. Small chickpea balls dipped in vegetable mayonnaise are always very popular with everyone, young and old! 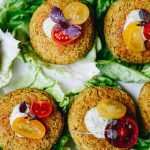 Lupini Beans and Zucchini Patties with Hemp Dill Sauce The only high protein-packed veggies burgers you’ll want to eat. 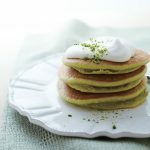 Pistachio Pancakes Flavourful and fluffy pancakes perfect for a nice sunday breakfast.